Because this product is designed for elementary students and up, our middle daughter (she’s 34) decided to take it along with EJ and I. This made it a fun way to learn something totally new to all of us as a group. 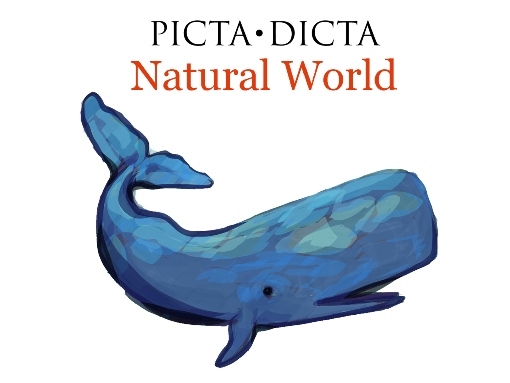 It was very easy to get started with Picta Dicta Natural World. I simply signed in with my code and then added learners by creating a simple profile for each of them. I appreciate that I can change each learners level according to their skill level (if you move up and find it too difficult you can move back to the previous level without losing any of your progress). It is also easy to keep track of your students’ progress with the chart (shown below) that shows how much time they have spent on their most recent lesson as well as the name and level of it. As you can see I managed to spell “agnus” correctly! This program looks very simple to begin with but can be somewhat challenging. I do find that each of us (no matter what age) learned more and more with each lesson. EJ even began pointing out the Latin roots of English words in our other studies. 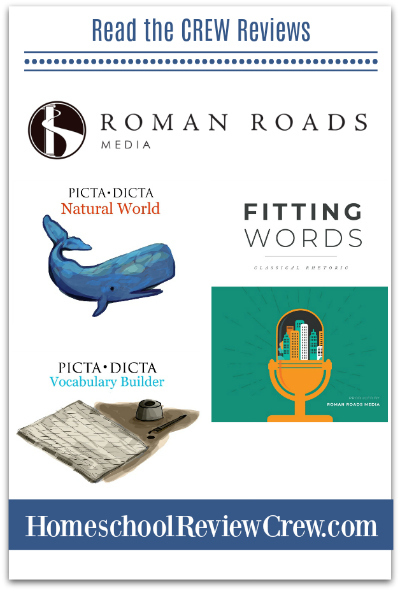 Learning Latin with Picta Dicta Natural World from Roman Roads Media includes learning the history and stories behind the words. We have all enjoyed reading the folklore and stories that are included with many of the entries. There are over 200 chapters in this program so you and your child will have plenty of levels and words to learn plus there is a training area where you can choose a chapter (or more) to work on with a particular game and strengthen the bits and pieces where they might need a little more help. I’ve attempted to give you a good overview with my screenshots but Picta Dicta has a very good video that explains the program as well. You can hear how clearly the words are pronounced (a plus when you are trying to reproduce the word correctly). The video is about 10 minutes long but explains the program quite well. We used this program as a supplementary program since we did receive it over the summer. That doesn’t mean we didn’t use it for learning but I found that even by logging onto the site for five or ten minutes a day each of us (no matter if a child, aunt, or gramma) felt the words getting easier all the time. And by keeping it to short sessions it didn’t become an onerous task. The chapters are set up to be like games and I found we all became competitive with ourselves and each other for gathering stars (a bit like some of those online games where you can go back and improve your score if you aren’t happy with it). For the most part, EJ and I used Picta Dicta on our Chromebooks but my daughter used it on her Kindle and found it equally easy to use. She was able to use it by going directly online or with the app from the Amazon store. (She said to be sure I explained you still need to be online even to use the app.) I like to have programs that can be used on various devices since we trade them around and often only grab our Kindles when we head off to do work at the library or community club. 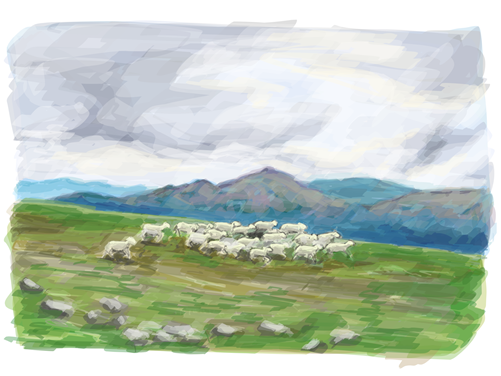 I really liked testing out Picta Dicta Natural World from Roman Roads Media. It was easy to set up, easy to use and took very little work on my part as a homeschool teacher to add it into our weekly lessons. I also like that this has become an additional piece of classical education that our grandson is experiencing even while it feels as though he is playing simple games. Learning languages is always enriching and, with this program, we could easily work together as a family on it. This program is a good fit for our family and I’m certain for many of yours as well. Please visit the image below to hear from other crew families about their experiences with Roman Roads Media. 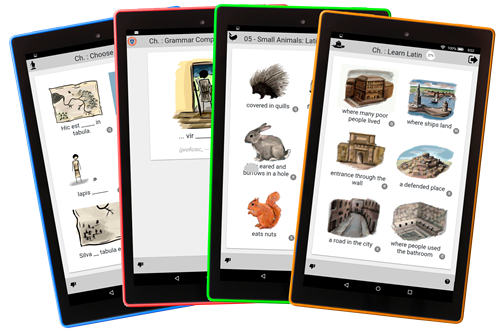 Our family reviewed Picta Dicta Natural World while others reviewed Picta Dicta Vocabulary Builder. Others still reviewed Fitting Words Classical Rhetoric (complete program). I encourage to check them out and see which one is best for you.